When not writing fiction, Jem Shaw spends much of his time writing aviation and marketing articles for various publications. His first full-length novel, The Larks, is a realistic portrayal of life in the cockpit of a young pilot of the Great War. Reaching number nine in Amazon’s War Fiction section and currently selling particularly strongly in America, it aims to re-create the first-hand memories of actual WW1 pilots such as Cecil Lewis and Arthur Gould Lee. 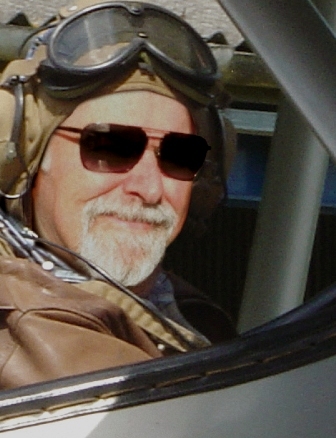 Jem is a long-time aviation enthusiast, a passion which he is fortunate enough to be able to satisfy in work and leisure time, whether as editor of The Meteor magazine, working among the vintage aircraft of the Classic Air Force, or enjoying some airborne stick-waggling in his brother’s WW2 Piper Cub. He is currently preparing a compilation of WW1 short stories, written in collaboration with fellow Renegade Writer, Malcolm (Tim) Havard. Andy Palmer is a few days shy of his eighteenth birthday when he joins his squadron in Northern France. It is June 1916 and the great slaughter of the Somme approaches. In the desperate humour and visceral fear of the weeks that follow we see the effect of daily madness on ordinary, civilised people.